Cruisers make up a hefty chunk of the streetbike market. Dig deeply into the sales logs and you'll discover that the fastest-growing portion of this popular category is the 650 to 1100cc “metric” segment. 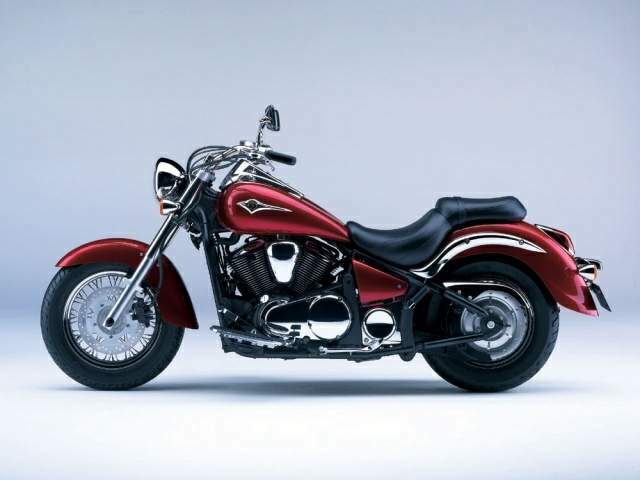 Kawasaki was quick to make note of this fact at the introduction of the Vulcan 900 Classic, launched this past March at the World Center of Cruising—better known as Bike Week—in Daytona Beach, Florida. “Our research has shown that to be successful in this mid-size category, the product has to have great style, be the right size and offer full features at a good value,” said Croft Long, Kawasaki's cruiser and watercraft product manager. 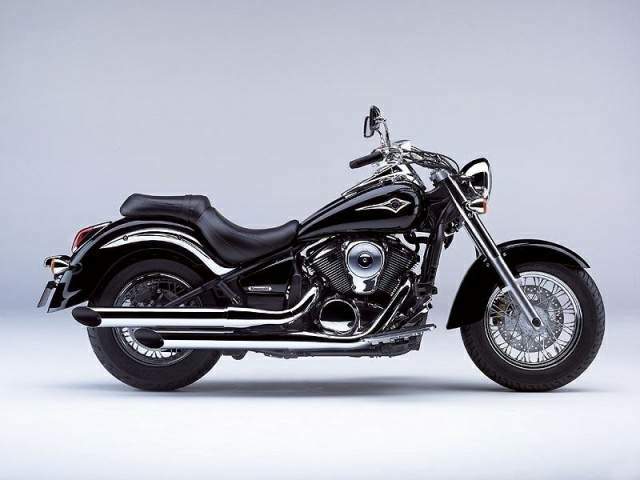 This explains why the Classic is essentially an all-new motorcycle, a bigger, longer, lower, heavier, more powerful and technically superior take on the long-running Vulcan 800 Classic. 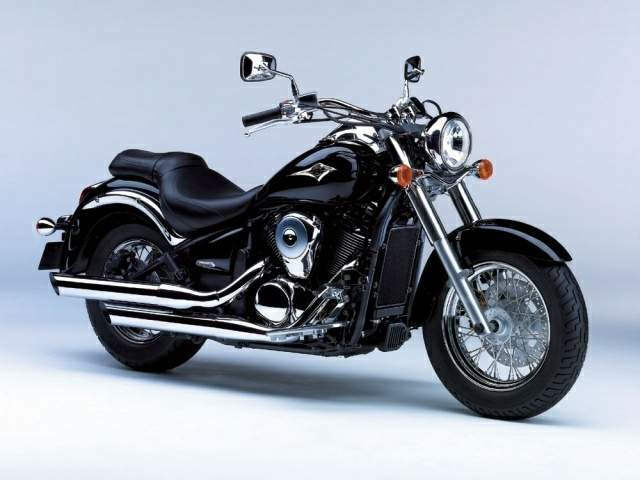 The engine, for example, a rubber-mounted, liquid-cooled, sohc, four-valve-per-cylinder, 55-degree V-Twin, has grown in displacement from 805 to 903cc via an 8mm increase in stroke. Sculpted cam-box covers, deeply finned cylinders with stylized “power valleys” and revised case covers make the engine appear larger than it actually is. Electronic fuel-injection—34mm throttle bodies, one injector per cylinder—is another welcome change. Keeping with the “bigger-is-better” theme, the steel frame has a more rigid, larger-diameter, box-section backbone that supports a new gas tank with greater capacity—5.3 versus 4.0 gallons. A conventional 41mm fork, hung at a 32-degree angle, is paired with a wire-spoke wheel and 130/90-16 tire. Locating the like-styled rear wheel and the 180/70-15 tire, a triangular-section swingarm provides the appearance of a hardtail, but a single shock adjustable for spring preload and rebound damping is hidden beneath the seat. Two disc brakes, which replace the previous disc/drum combo, measure 300 and 270mm in diameter and are paired with twin-piston calipers. A new, more powerful generator provides an additional 70 watts of juice to run electronic accessories. With thousands of riders jamming Main Street, it was nice to saddle up and head out of town toward St. Augustine, the nation's oldest city. At moderate speeds along scenic coastal highway A1A, the Classic, with its broad handlebar, dished seat and floorboards, was comfortable and handled easily. When the road opened up, the flywheel-heavy engine responded smoothly and willingly to throttle inputs, the catalyzer-equipped, 2-into-2 exhaust system providing a pleasant rumble. While touring-minded riders will likely prefer the $8499 Vulcan 900 Classic LT, which adds a windscreen and leather saddlebags, the $7299 Classic is a lot of motorcycle for the money. Big-bike style at an entry-level price? Sounds like a recipe for cruising success.